It took him a year to build and about $30,000 in parts, but Steve Hassenplug has created a truly magnificent robotic chess set, inspired by the magical chessboard in the first Harry Potter movie. Quite a task, but Hassenplug did an incredible job! "Hassenplug and his friends John Brost, Ron McRae and Bryan Bonahoom started with the board. They chose standard Lego baseplates for each square and persuaded Lego to provide the rest of the parts free as a sponsor. 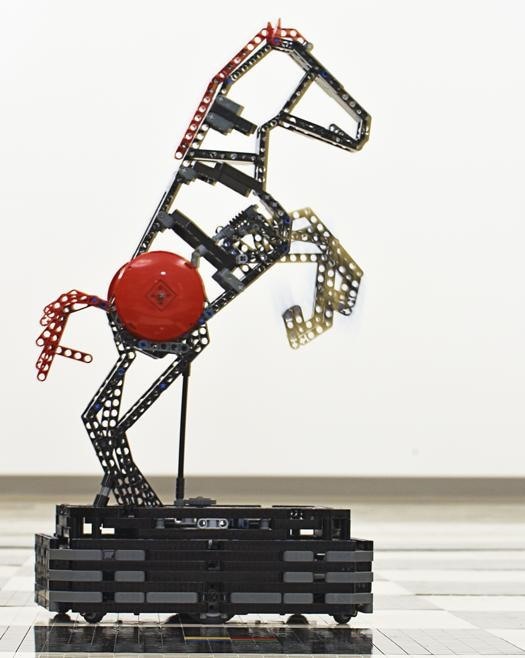 Hassenplug designed the robotic bases for each piece, placing caster wheels in the four corners for balance, plus two drive wheels powered by separate electric motors from Lego's Mindstorms robotics kit. If one wheel runs forward and the other in reverse, the base, and the one-to-two-foot-tall piece on top of it, spins in place. McRae, who once built a working Lego ATM, took the lead on the custom software. A touchscreen PC connects the entire board via Bluetooth and can tell up to seven pieces at a time where to move. The pieces are up to two feet tall and sit on wheeled bases with motors that control their moving parts. Previously, Star Wars: A New Hope LEGO Chess Set. 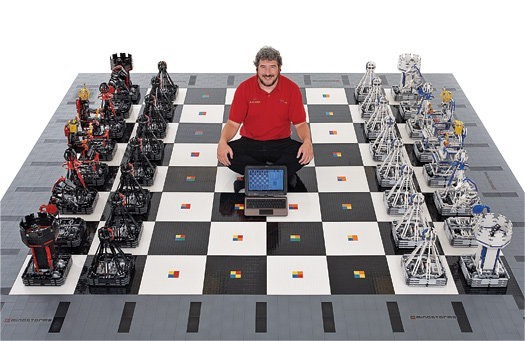 Play Robot Chess Via Twitter. This is very interesting, good to see there is people out there doing something unique and sticking to the jobs they have started.